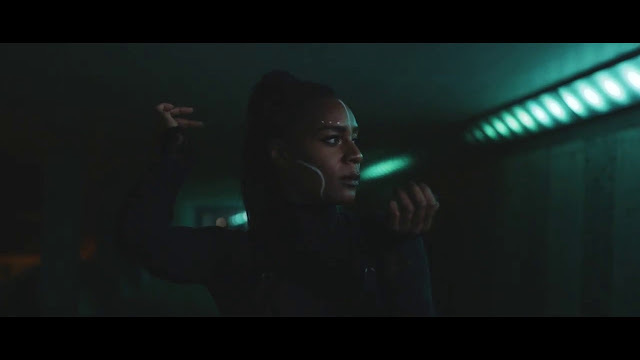 London based artist ECKOES has just unveiled the official music video for her single Without Prejudice, a stunning piece of dark electronic music. The haunting and sci-fi inspired video was directed by Dale Rook and is as stunning as the song, focusing on the statuesque 6ft Londoner's gentle movements. Watch the captivating visuals below! As I untangle myself more and more from what people think, I can really feel myself blossom. This is the first one of my videos that I appear in, so it’s a landmark for me. It’s courage, it’s expression, it’s faith in my creation and the audience to come on this journey with me. I can't get enough of her tender and haunting vocals flowing over the raw, dark melodies packed with dizzying electronica and abstract rhythms. Those lush piano keys and bass are simply breathtaking! I am loving the bass and the delicate piano keys that highlight the emotion behind the lyrics.